Wow what a difference a week makes, these photo’s are from June 12 the opening of the Farmer’s Market. The weather was cold and rainy but that didn’t stop any of us from getting there early to show our support. I came home with fresh spinach and chard, as well as strawberries and asparagus. We were in and out pretty quick because of the weather, but is was so great to be back at the park and great to see all those great faces again. First picture: In the center of the park where you can get food, coffee and treats there is also live music. I don’t know the name of this band but there a couple of young folksy guys, they sound great. 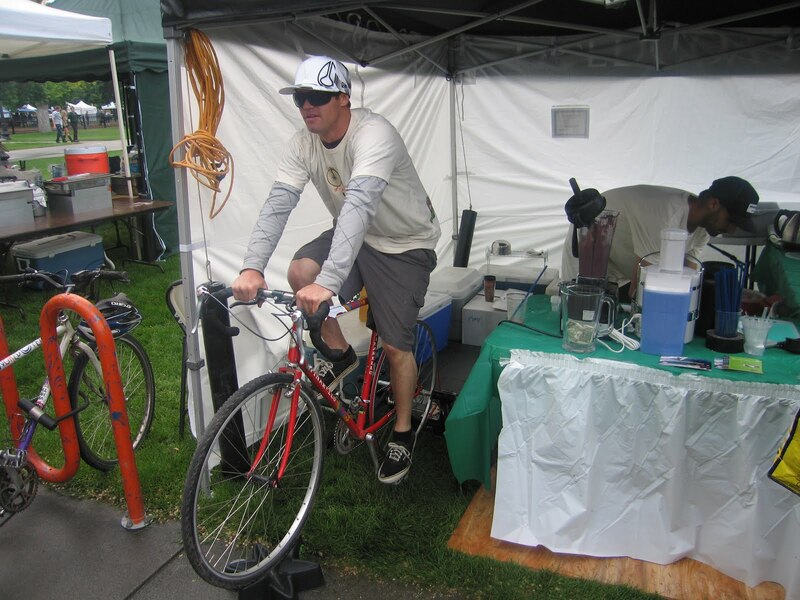 Second picture: At this booth in the center of the park you can get smoothies, the cool this is that this guy peddling is actually powering the blender to make the smoothies! Third picture: Do I need to explain? 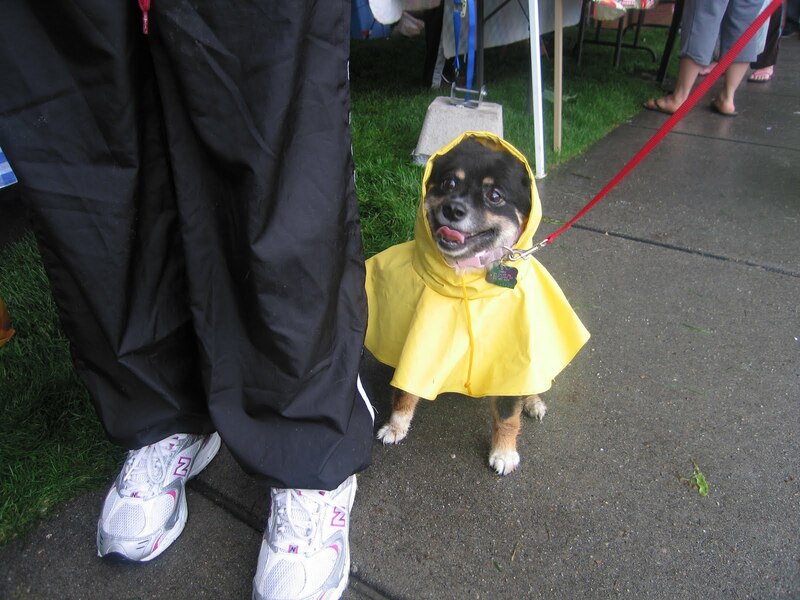 How stinkin cute is this dog in a raincoat?! Sharon, thanks for your comment. 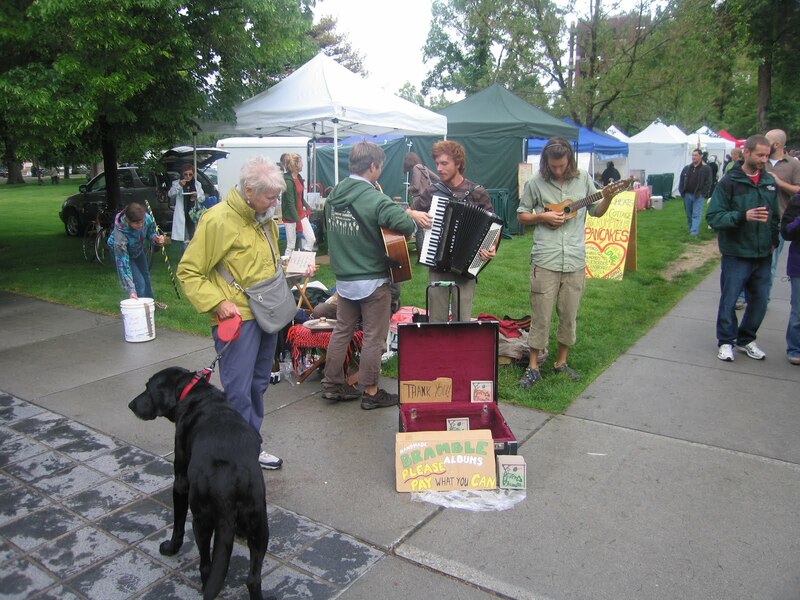 And thank you for the name of that great band that plays in the middle of the park during Farmers Market. I love the produce you grow and think that what you do is amazing! (BUG= Backyard Urban Gardening) See you at the Market.